Macadamia nut tree is found in Hawaii and Macadamia oil is taken from the nuts of this tree. The nuts actually fall from the tree and then are husked. Macadamia oil is a pale yellow, refined vegetable oil that is light, non-greasy and gets easily immersed into the skin and hair shaft. It has a slender nutty flavor and is one of the highest sources of necessary fatty acids. Macadamia nut oil has magnesium, calcium, iron, sodium, phosphorous, and copper. Because of the presence of fatty acids Macadamia oil helps in hair regrowth. It becomes a beneficial oil for skin and hair because of its nutrient composition and high fatty acid. Macadamia oil penetrates hair more proficiently as compared to some other oils, like mineral oil. Mineral oil can build up on your scalp and after a while, it can make your hair feel heavier and look duller. However, fruits and vegetable oils such as coconut oil is said to penetrate the hair follicles more effectively. Macadamia oil too is known to have this same property. When macadamia oil mixes with the hair shaft and infuses it with fatty acids, your hair follicles become stronger and healthier. Macadamia oil also has antioxidant properties which help hair to recover from environmental exposure to dirt and pollutants in the air. Macadamia oil has moisturizing qualities that can help smoothen the hair, giving it a shinier look. If you use macadamia oil on your hair daily, it will become glossier and shinier over time. Macadamia oil has such moisturizing properties that make your hair healthy, soft, voluminous and thicker. If you are struggling with heat-damaged or dry hair, using just a few drops of macadamia oil on the ends of your hair can work wonders to your hair and will soften and moisturize them instantly! If you have curly hair, you’re probably on the constant search for products that can reduce frizz. Macadamia oil is great for soothing the hair of frizz, dullness and tangles. This non-greasy, lightweight, nutty oil adds shine and liveliness to your strands while covering your ends and keeping your scalp moisturized. Macadamia oil is overall beauty oil for scalp, skin, and hair and from hot oil treatments to scalp massages, this oil has been a staple for years because of its potent composition and lightweight nature. Macadamia oil contains palmitic acid which is known to nourish hair follicles by promoting healthy production of sebum. Macadamia is an excellent softener and useful if you have curly or coarse hair because of its ability to penetrate. 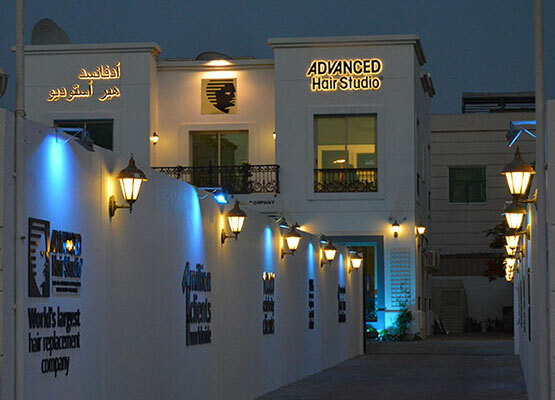 If you are looking for suitable hair fall treatment for your hair problems, then book your consultation with Advanced Hair Studio today. Advanced Hair Studio is the best hair fall clinic that has been offering the best hair restoration treatments to people from all around the world.